Duty free and travel retail industry association Tax Free World Association (TFWA) is set to launch a new digital exhibition at the TFWA World Exhibition & Conference in Cannes in October 2017. Called TFWA DIGITAL VILLAGE, the exhibition will showcase creative digital solutions and services to the 12,000 duty free and travel retail professionals attending TFWA World Exhibition & Conference 2017. The latest figures value the duty free and travel retail sector at an impressive USD 62 billion (£50 billion), and that figure, according to sector research specialist Generation Research, is expected to rise to a very notable USD 120 billion (£90 billion) by 2025. With more people expected to be taking to the skies and seas every year, it is becoming ever more important for retailers to explore innovative ways to communicate and engage with their customers. The sector has never presented more opportunity for the providers of cutting-edge technology. TFWA DIGITAL VILLAGE will form a new part of the TFWA World Exhibition & Conference, the annual duty free and travel retail event that has been running for over thirty years. The new digital exhibition will occupy a space of 840m2 and will have the capacity to host approximately 30 exhibitors. The event will run for three full days, from Wednesday 4th October through to Friday 6th October, beginning with an opening cocktail at Cannes’ Majestic Hotel on the evening of Tuesday 3rd October. 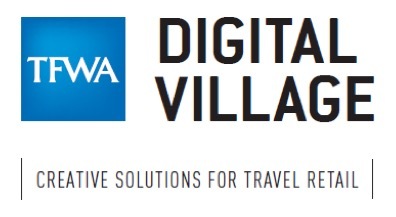 For more information visit http://www.tfwa.com/digitalvillage. Companies interested in exhibiting who have relevant digital technology offers (including applications, services and hardware) for use in CRM and retail environments can pre-register at the same address.